Are you looking for a specific analysis method that your audio analyzer does not support? For instance, do you want to link several measurements to a combined result, or to display data in a special way? In this case, the “Calculation Items” of the FLEXUS Audio test system will provide you with the solution. The feature offers the ability to combine previously stored data with the latest measurements, and adds a wide range of mathematical functions, e.g. 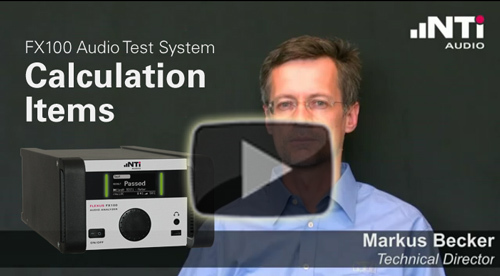 Thus, Calculation Items significantly extend the flexibility and performance of the FLEXUS Audio test system for all kinds of electrical, acoustical or vibration measurements. Watch the video presentation here. Visit www.nti-audio.com/FX100 for more details.